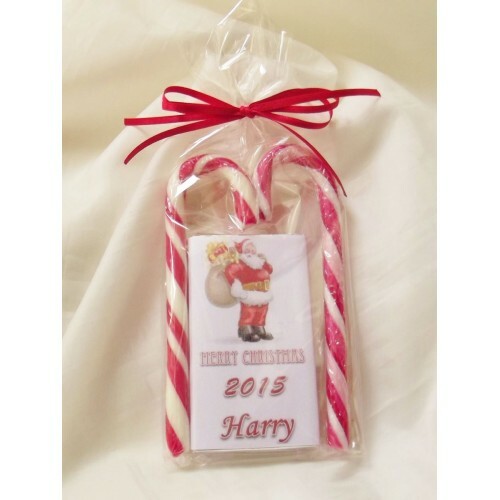 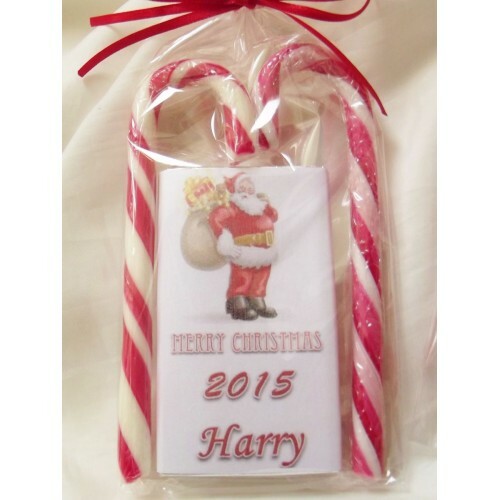 This set is composed of 2 candy cane and a children chocolate bar, personalised with the name of your choice. 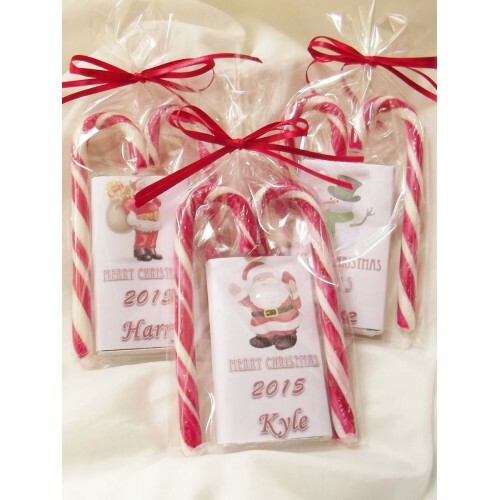 Each set is wrapped in cellophane, tied with Christmas ribbon and finished with a cute Christmas peg. 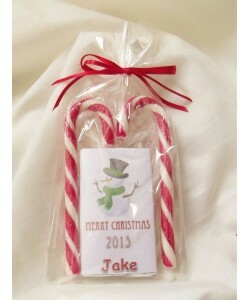 A perfect Christmas stocking filler, a small present for the little ones or a gift for teachers.